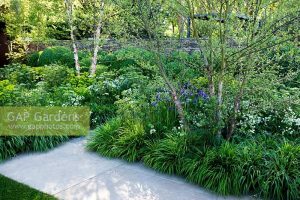 Never mind that I won’t be going to this year’s Chelsea Flower Show (it’s now sold out), I am still gleaning lots of inspiration from the show gardens of years gone by. 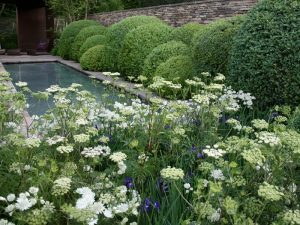 This was the Laurent Perrier garden from 2010 designed by Tom Stuart Smith. 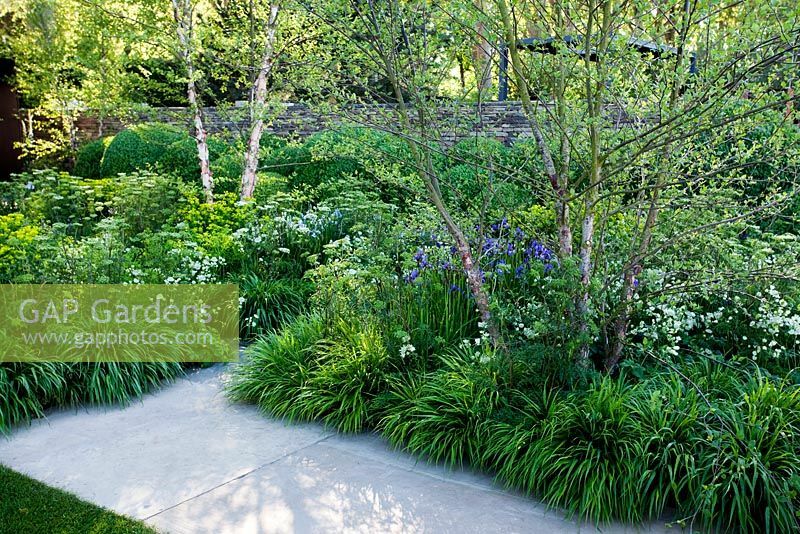 Multi-stemmed Betula nigra trees are beautifully underplanted with Hakonechloa grass, Astrantia major ‘White giant’, Euphorbia wallichii, Iris sibirica ‘Tropic Night’ and Cenolophium denudatum (Baltic parsley). Frothy clouds of delicate parsley are set against structural box clouds. A very memorable, inspiring garden. I’m looking forward to seeing what this year’s Chelsea flower show brings in a couple of week’s time. There’s nothing quite like it – an overload of eye candy and innovation!